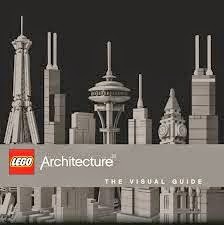 It is in this awesome lego book. I bought this cause I knew my sons would love it if they were still hanging out here. It is classic. That,s all I have to say-classic!!! Ok is this the cover of the year so far- it is very cool! I could not figure out what genre to place this under - it has it all! “I was once a useful political piece for you to play on the board. You did, even though I begged you not to. And now I am no longer a useful piece for you. My name has been sullied irrevocably. In the forum and the senate hall and the finest tricliniums in Rume, when they speak my name they whisper – matron macula. I will never marry again. I will never be able to appear in any public familial function for fear of shaming the Cornelian name. And why? Because as a strategist, you played me poorly! "What a strange mash up. Its a fantasy world with elves, dwarfs, magic and demons but the setting is pretty much the wild west if it was run by the Roman Empire. Its pretty much a fantasy equivalent of Firefly . Genre: What war does to peoples souls! War- why? I am pleased we have this book in the library, but I know it will be a hard read for anyone that chooses to read it- but that is the point!! 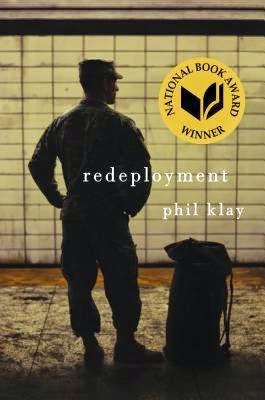 Phil Klay's Redeployment takes readers to the front lines of the wars in Iraq and Afghanistan, asking us to understand what happened there, and what happened to the soldiers who returned. Interwoven with themes of brutality and faith, guilt and fear, helplessness and survival, the characters in these stories struggle to make meaning out of chaos. 18.700 ratings on Goodreads.com with a ranking of 4.18 stars- that is pretty darn good- so why? 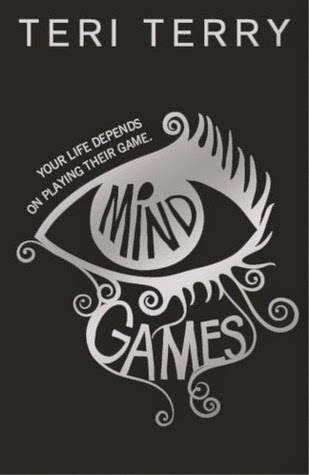 I think because it is real, there are no major dramas, no suicides, no bigs angst's- just real teenage life that is connectable and relate-able. Five stars isn't enough for this book! Can I give it seven or eight? From the very first chapter I was sucked in. I was curious about what happened to Sloane, and how Emily was going to complete this list. I immediately fell in love with these characters. Emily is the best female protagonist I've ever read. She's not annoying, she's brave, and she undergoes major character development. I can relate to her so much. It was comforting to see a character that was so similar to me, yet different as well. I also enjoyed our other characters: Sloane, Dawn, Collins, Beckett. Oh and of course Frank Porter. I need a Frank Porter. The development of the characters just left me speechless. I love how Morgan Matson develops her characters, slowly through each chapter but surely by the end of the book. I loved how Emily interacted with her fears and her insecurity and I love how she found out how to be herself without depending on other people to do it for her. The friendship was definitely my most favorite part of it. It made me cry so much, half from happiness and half from overwhelming sadness and I loved the mystery of her situation and I love how it was explained and I just lOVED EVERYTHING BASICALLY. 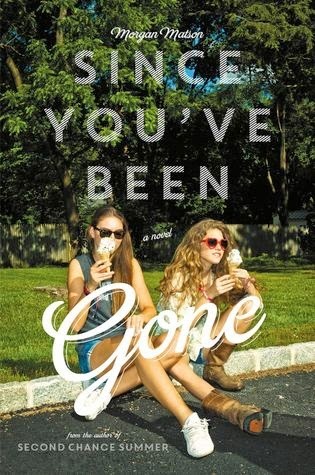 I also immensely enjoy that Morgan Matson always weaves in the presence of Family into her books that most authors surprisingly, in contemporary fiction, don't because yes authors, parents do exist and they are an important factor in any person's development. I got his book on appro and the boys demanded I purchase it- so here it is. The Sudoku fans, those that love a good code-cracker puzzle in the newspaper and those fascinated with secrets of the coded variety are going to love this book. It looks at international Codes and how they and ciphers work, why they were invented and how they have been cracked. It has over 500 photos and illustrations which are great to peruse through. It looks at a hot topic- secret surveillance- how this is done and why it is done, so if you are worried you are being spied on- then this book is for you! It looks at different codes that deal with war, love, commerce and crime from the earliest of human days until the cyber digital age. 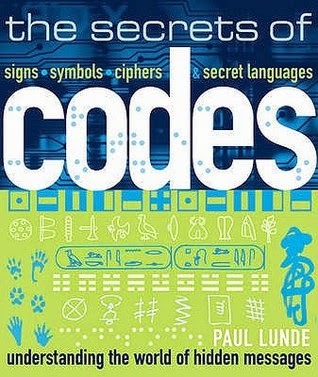 If you want to understand the world of hidden messages and codes- then give this book a crack! 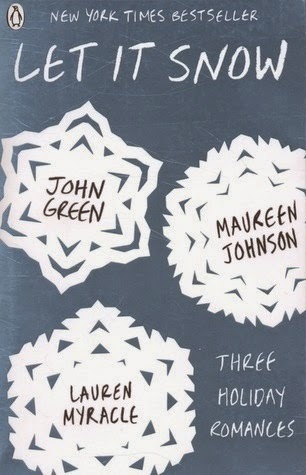 By: John Green, Maureen Johnson and Lauren Myracle. "Contemporary culture, humorous romantic developments and strong characters enhance this collaborative effort." It's 3 short stories by different authors, that all connect. So it's like ONE book but in three parts with three points of view, and they are all set at Christmas time in the snow! Must not be in NZ then I guess! A Cheetastic Christmas Miracle is written by the incredible (and hilarious) John Green. Tobin, JP and the Duke (aka Angie) are on a mission. In this snowy adventure to the destined salvation of the Waffle House, with visions of cheerleaders, twister and hash browns dance sweetly in there heads. : nerdy guy's adventures with his brainy (in this case, Asian) friend and their one-of-the-boys, liable-to-say-anything platonic girl pal. And Lauren Myracle's THE PATRON SAINT OF PIGS shows that lost love can be found again with the help of Starbucks, angels, and even a pig. 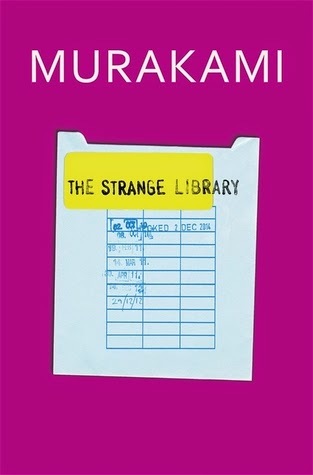 Great concept and it will be a big hit in the library- it has John greens name on the cover! Hay something a bit different:) a Non Fiction!! I have started cycling, actually lots of people in the mighty town of Cambridge have. We have awesome cycle trials in and around town now and we have some great multi day rides not far away. I ride to work at least three times a week and I love it! "Road Bike Maintenance" provides cycling enthusiasts with step-by-step guidance to maintaining and repairing their bikes, combining an easy-to-use format and design with high quality photographs of the latest equipment. 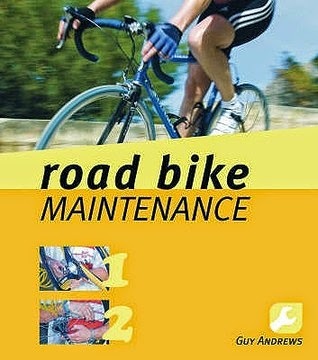 This book guides the reader through every repair possible on a road bike and also give tips on how to spot the early warning signs of trouble so that you can fix the problem before it leads to costly replacements. The spiral bound design means that the book will open flat so that you can easily follow the fully illustrated step-by-step guidance. It is the perfect reference manual to have in your shed or workshop and also contain lots of tips on how to conduct quick repairs if you get into trouble while out on the road. This is the time of year I get goosebumps and it is not because of the change of weather either. It is getting very close to our official 100th anniversary of the landings at Gallipoli. Last year I did a stack of research on the boys from our school who died in WWI. Boys that wore our school uniform and lived in our houses in our streets- who are now buried on foreign soil in no mans land. Can anyone- anyone tell me one good reason why WWI happened? Can anyone tell me why so many of our boys had to die such lonely, ugly, cold and violent deaths- they were honorable but the war around them was not. I look at the 18 year old lads that walk into my office and it gives me goosebumps! This story is about two boys- who are 18. Maurice who is serving in the great war and Oliver- who is Maurice's great-great nephew. Oliver is facing his own battles- against himself and his difficult family situations. 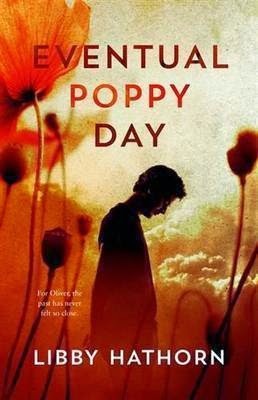 He is given his Uncles war diary, which tells his Uncle's story of the Western Front and has gritty poetry from the war classics snuck in, this gives Oliver a mind shift on what matters and it changes the way he sees the world. It gives Oliver the courage to face his doubts and his darkest of times. I saw the movie- it was really good. It was made by the same director as "Amelie" and so it is directed from quirky unusual angles in how it expressed the journey of T.S. Spivet. How he speaks and expresses himself reminds me of some our the students in our school- I had a deep empathy for this young man. The movie packed a punch- so I bought the book! I have gone for a while to do some work. Don't worry, I'll be fine. I didn't want to bother you by telling about it ahead of time. Thank you for taking care of me. You are one of the best families in the world. T.S. makes sense of his chaotic family life by drawing beautiful, meticulous maps kept in innumerable colour-coded notebooks. He is brilliant, and the Smithsonian Institution agrees, though when they award him a major scientific prize they don't suspect for a moment that he is twelve years old. So begins T.S. 's life-changing adventure, travelling two thousand miles across America to reach the awards dinner, the secret-society membership and the TV interviews that beckon. But is this what he wants? Do maps and lists explain the world? And why are adults so strange? 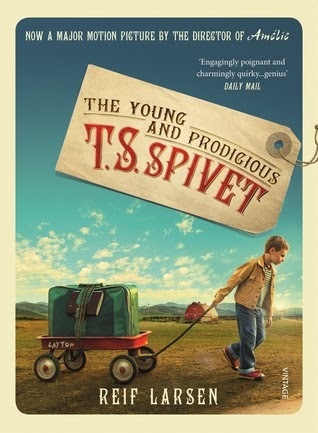 The story is of T S (Tecumseh Sparrow) Spivet. He is something of a child prodigy, just twelve years old and already a genius mapmaker. TS lives on a ranch in Montana with his scientist Mother, his cowboy Father and his older sister Gracie. His brother Layton died earlier in the year in an incident with a shotgun - but nobody talks about Layton. TS maps out his life with his incredible drawings - he doesn't just map places, he maps everything - the first map of the book is a diagram instructing 'how to read this book' - he maps out facial expressions, how food is prepared, areas of the house and the ranch - just about everything. TS receives a phonecall from the Smithsonian Institute, telling him that he has won a much coveted scientific prize - a prize much sought after by famous scientists all over the world. The Smithsonian dont know that TS is only twelve, and he decides not to tell them, but to travel across America to accept his prize. So begins the journey. TS leaves the ranch with his precious belongings, without telling anyone and begins his journey across the country. He manages to stowaway on a freight train and spends much of the journey holed up in a new Camper that he christens and has conversations with. TS had stolen one of his mother's notebooks as he wanted to take a piece of her. During his journey he reads the notebook, which turns out to be a history of his family, especially about his great grandmother Emma - one the first female scientists in America. As his journey unfolds he discovers that what matters most is family, and in the end T.S Spivet is taught all he needs to learn! 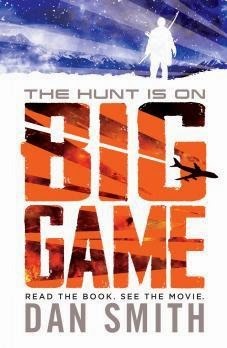 Great book for some of our Year 9-10 boys who liked Hatchett! I wonder how our Year 13 lads- Nick and James would go in a modern test of manhood? I am sure they would do better in modern tests but not an ancient one- can't see them killing anything, they cant even get flies in my office! But Anastazia would rock it- she is awesome with a bow and arrow, but she is a chick so it would not count! 13-year-old Oskari is sent into the cold wilderness of Finland on an ancient test of manhood. He must survive armed only with a bow and arrow. But instead, he stumbles upon an escape pod from a burning airliner: Air Force One. Terrorists have shot down the President of the United States. Good thing: It is a stand alone. You don't have to read a series. We put implants in our doggies- but us?? Luna lives in a world where the majority of the population has an implant allowing them access to a virtual world. Everyone learns, lives, plays and interacts in this virtual world. Luna is one of few “Refusers”, who choose not to have an implant and do things the old way, like learn in a physical classroom with physical teachers. When she does enter the virtual world, we discover that she has a dangerous secret: she is aware of both the virtual world and the real world around her. The idea of the implant technology is creepy because it’s really not hard to imagine that it could happen in our society in the future. The thought of being able to attend school whilst actually chilling at home in pyjamas, being able to alter how you look, visit different worlds, it all sounds great, right? Considering the speed at which technology advances nowadays, it’s not difficult to envision a future with this kind of technology. The thought of a corporation like PareCo controlling and tracking us is what makes it scary. Genre: My fav- real life African story of hopelessness turned into hope because someone decided to make a difference! This book is inspirational and here is why- it shows that despite the discussion that cross cultural adoption is not acceptable in some peoples minds- it rescues, saves, gives hope and redemption! Here is a young child whose parents have been taken from her in war torn Sierra Leone, who has ended up in an orphanage with little hope- now performing on the worlds ballet stage. Who are the hero's- they all are. We can all make a difference- we just have to decide what our avenue is and do it! 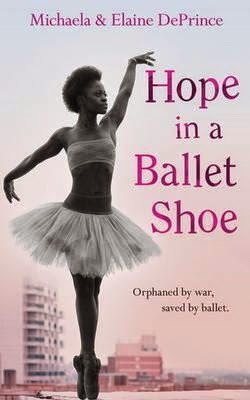 Michaela DePrince was born in war-torn Sierra Leone during the decade long civil war that took place there. After rebels killed her father, and her mother died, her uncle left her at an orphanage. There she was taunted and abused by the women who cared for the children because she had a skin condition called vitiligo, which made her appear spotted. While there Michaela found a magazine stuck to the orphanage gate. On its cover was a photograph of a beautiful ballerina en pointe. Once she saw this, Michaela became determined to be just like that ballerina. Soon after the discovery of the ballerina, Michaela was adopted by an American family that encouraged her to pursue her passion for ballet. There she became the eighth of their eleven children, nine of whom were adopted. While attending the Rock School for Dance Education in Philadelphia and the Jacqueline Kennedy Onassis School at the American Ballet Theatre, Michaela worked hard to develop her skills so that she could overcome stereotypes of conventional beauty and racial barriers in the world of ballet. After she was featured in the ballet documentary, First Position, Michaela debuted professionally as a guest principal at the Joburg Ballet in South Africa. Afterwards she danced with the Dance Theatre of Harlem professional company for one year before joining the Dutch National Junior Company as a second-year member and apprentice to the main company. Despite the fact that she misses her family in the United States, Michaela will be returning to the Dutch National Ballet’s main company for the 2014-2015 ballet season.
" This is for real- This is bloody dirty work"
Wow. The best fully realized high Medieval tale since Tolkien. Chivalry, courtly love, feudal politics, the art and logistics of Medieval warfare. 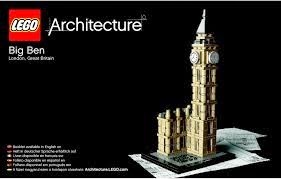 So detailed it borders on fussy. But wait, there’s more. Complex, deeply realized adversarial culture, too. All seen from the “inside.” Divisions, doubt, love, sacrifice—it’s got them all. REVIEW SUMMARY: A new tale of knights and daring deeds worthy of a place amongst some of our most cherished chivalry legends. 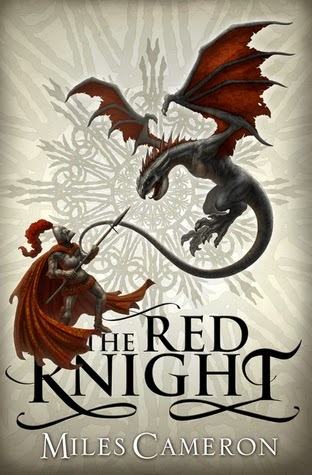 BRIEF SYNOPSIS: The Red Knight and his merry band of mercenaries take a commission to rid an Abbey of a monster problem. It turns out that the monster problem is more complex than any could have imagined and the whole kingdom of Alba is in danger of being overrun. PROS: Highly descriptive, furious combat, huge array of colorful characters, intricate plotting, great pacing, pervading sense of chivalry. CONS: Minor clarity issues with the magic system, so many characters that some of them are left underdeveloped, over-extended falling action. BOTTOM LINE: I feel greatly honored to have read The Red Knight. This is more than a genre novel, it's a contemporary myth. I can't wait for the next entry in The Traitor Son Cycle. 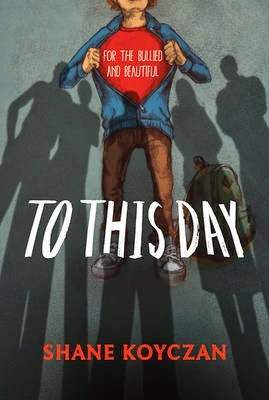 By: Shane KoyczanLocation: GRA KOYGenre: a graphic novel poem that sits beside "All the Bright places"
Now we have the book- illustrated by various graphic artists in a variety of styles- it looks stunning. I was bullied at school, I was 14, just shifted into a new town, new kid on the block, a "good" girl in a world of back field smokers, I wanted to learn, play hockey, engage my big world in a class of kids who wanted to drop out and become something in a world of base. So they started that on me, it was merciless, ruthless and soul destroying- good black eye though. I don't want to met them again, I know that as my life has flourished in meaning, there's despite serious intervention would being looking broken, with destruction around them. But the verbal upstart bully of pride, yes I would like to see her again, I would want her to know that despite her venom, her put downs, her mocking of style and appearance, we made it, we survived in tact.... just. This book paints in words and pictures what so many people have suffered, it gives an arm around the shoulder, it supports, it empathizes, it understands and it is powerful! BULLYING WILL STOP WITHIN 10 SECONDS IF SOMEONE STEPS IN TO HELP THE VICTIM. 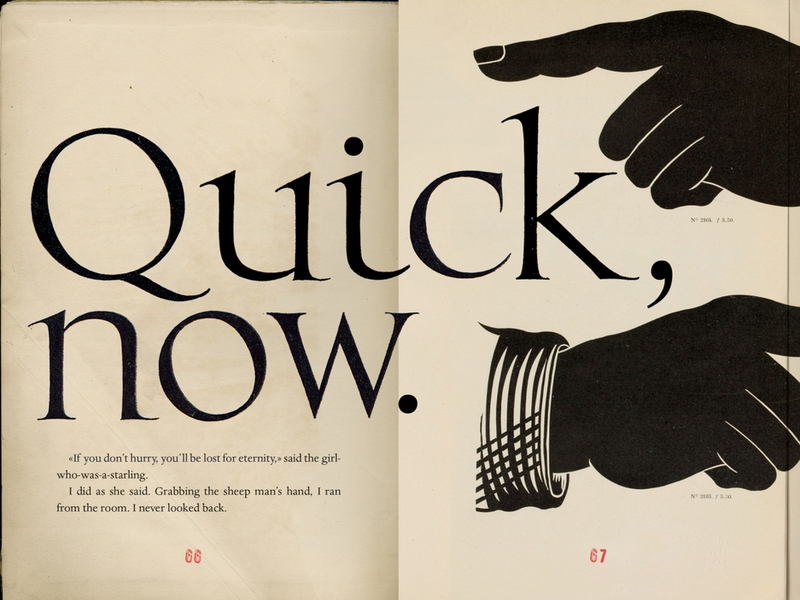 "What a creepy, weird little book. I enjoyed it immensely." He gets more than he bargained for when he ends up being led by an old man to a special “reading room” in a maze under the library where he finds himself imprisoned with only a “sheep man”, who makes excellent doughnuts, and a girl who can talk with her hands. Oh and the old man? He seems to have an appetite for eating small boys’ brains. This is a weird little book, lavishly illustrated creating kind of a multi media experience, it is a beautiful book! Murakami’s ultimate message: that it is through meaningful human interaction, friendship, love and bravery that we conquer the darkness of the world. We all must care for one another, like the narrator cares for his parakeet and his mother cares for him. 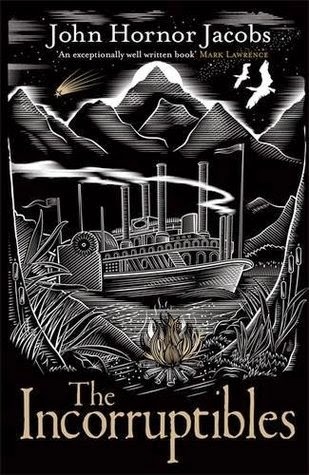 First book in the trilogy and wow what a cover!! It's like an X-Men dystopia stuck in a high fantasy world on accelerated mode. 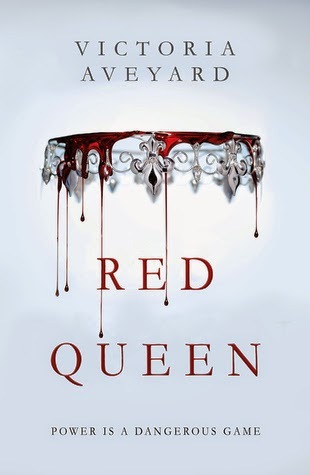 Red Queen is a mixture of X-men, Game of Thrones, Darkest Minds, The Selection, Pawn, and Kiss of Deception. Loved that this book took all the things I loved in Ya books and seamlessly brought them all together in one book. Can't wait to get book two and too see the cover!